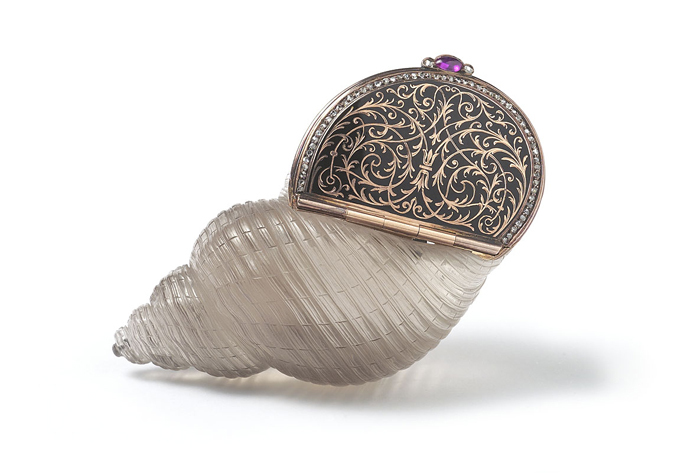 This Friday's Fabergé object is a marvelous little bonbonnière in the shape of a sea shell, created around 1890! The bonbonnière is carved from smokey topaz. The hinged gold lid is enameled opaque dark blue, and decorated with gold foliate scrolls. 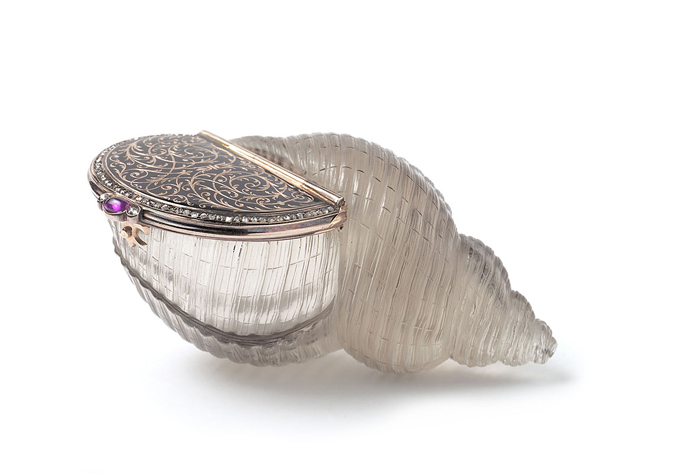 Around the lid's edge runs a border of rose-cut diamonds, and the thumbpiece is a cabochon ruby, flanked by two rose diamonds. The box is 2.8 inches (7.2 centimeters), and has been modeled on 18th century gold mounted shell boxes, that Fabergé probably saw during his studies and visits to the Hermitage. 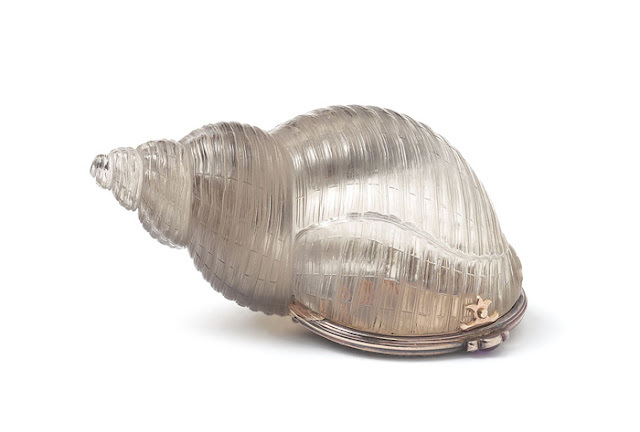 I love this little shell Miss Meadows, one of the strangest yet most alluring pieces I've seen from Faberge. Yes, I definitely wouldn't mind being owner of it;) I wonder why nowadays people do not create such beauty. Greetings!